So tomorrow I go to Germany! Again! For the fourth time this year, for the fourth time in my life. Unbelievably, at the beginning of year 13 at Brigshaw, I was annoyed that I’d never actually been to Germany despite my love for the language and, yes, I’m saying this, dedication to the subject. However, there is a downside: I’m going by myself. Now, I hate flying, even with people, but by myself?! Can I really do this? Suuurreee…it’s easy enough. And don’t get me wrong, once I get there it’ll be great, it’s just the travelling to and from that I’ll hate. Although I guess it’s the same with anything; I dread bus rides to and from places that I’m going, I think it’s just the whole concept of transport that I’m not all that keen on. But, regardless, I’m going to get over it and get myself over there whether I like it or not. 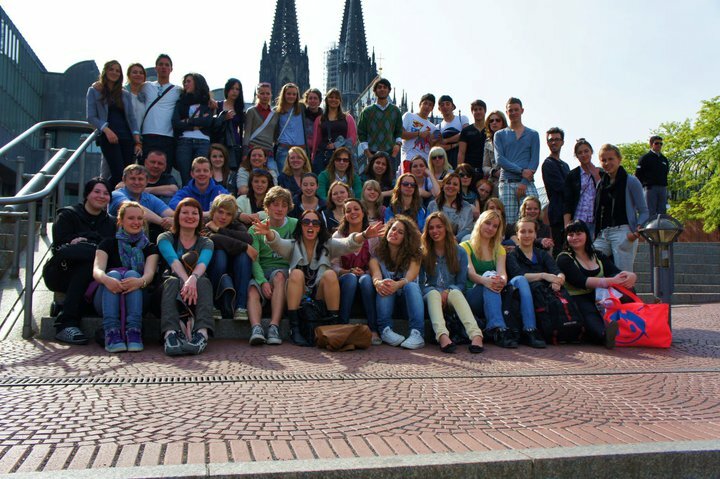 This is to see my friend from the Comenius Project that I’ve mentioned so many times before. See, now the sole of my foot is itching, which means that I must be going somewhere new. So I’ve been to Cologne before, but she must be taking me some place that I’ve not been to this week, which excites me now! If you’re visiting this page.. which you obviously are if you’re reading this.. please scroll down a touch and click on the Social Vibe panel on the right hand side; it’s a charity button that you can click on and money will be donated to my chosen charity/cause, which concentrates its energy on helping people with autism and funding research to find treatments for it. I guess I was inspired to choose this charity because of my trip to Germany with the Garforth Lions. You see, perhaps naively, I’d never come into contact with people with disabilities and the whole week really opened my eyes to the world out there. It made me realise that not everybody has an easy life, and that there are people out there who have a rough ride to cope with. So this charity is pretty important to me because things like this break my heart now. I know I shouldn’t feel pity or anything, people wouldn’t want me to, but it just disheartens me that the world is actually like this. I will definitely say that the Garforth Lions trip has made me a more compassionate and empathetic person all round. So please, just click on it and help those with Autism and other disabilities. And, perhaps more importantly, get involved with anything like I did. I recently read one of my posts from 2009 and I put, “I’ll come out of my shell one day this year.” If I can do it, anyone can do it. I care not for who reads this, but I need to share my experiences somehow… the past week spent in Witzenhausen with the various German Lions Clubs has to be one of the top 3 highlights of my life so far. Just going to Germany shatters the ridiculous stereotype that people have of Germans, and perhaps reinforces the stereotype that some English people are ignorant of Europe and its wonders. I’ll fill you in, faithful reader; the Garforth Lions and other clubs around the Leeds area are involved with Lions Clubs in Germany and they alternate their visits each year. This time, I got a shot at accompanying them, providing that I and my friend Mark helped out when they needed us to do so. I kid you not, the sheer amount of people that I have met in the past week was staggering and they were all so amazingly kind and nice and friendly! I loved them all! I think what I got most out of the trip was the responsibility that was given to me and the awareness of disabled people, young and old, because, to be perfectly frank, I’ve never encountered disabled people until now and I’ll admit that I never understood what being disabled was all about, how it felt to look after someone etc etc.. and… yes, it’s crazily hard.. but definitely worthwhile. I’m telling you all this in order to promote awareness of the Garforth Lions and Leeds District Lions etc because I don’t think enough people know about them; I certainly didn’t have a clue what they were all about, never mind knowing about these trips to Germany every other year. Those people who know me will know that the German language is one of my passions, but I beg you, don’t roll your eyes…because this genuinely is a fantastic thing that the Lions do for disabled people. 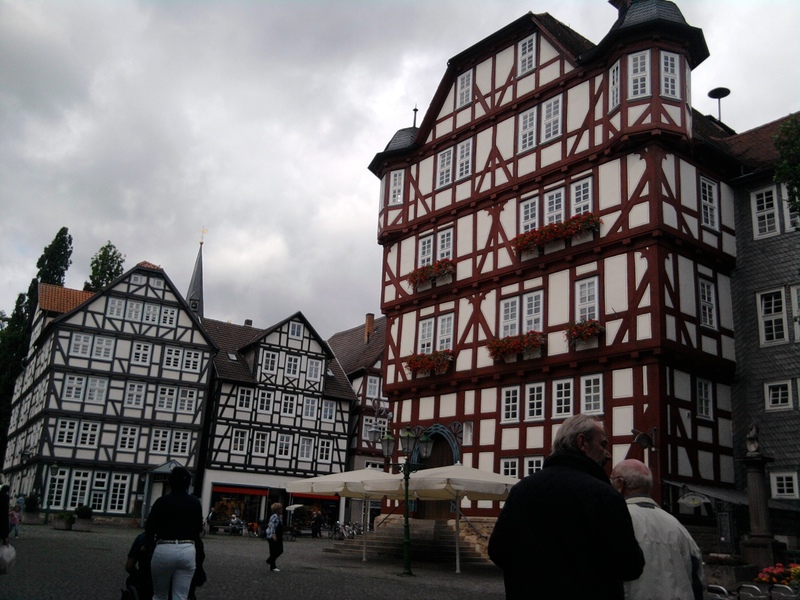 This past week I’ve made lots of new friends for life – English and German – I’ve visited the more unknown, but amazing places in Germany, flown in a tiny plane(! ), fulfilled myself as a person and generally had the time of my life…so I’m asking you, please get involved with the Lions, even if you just show you’re support for them, they really do do a huge and fantastic job for people of all ages and of all kinds.